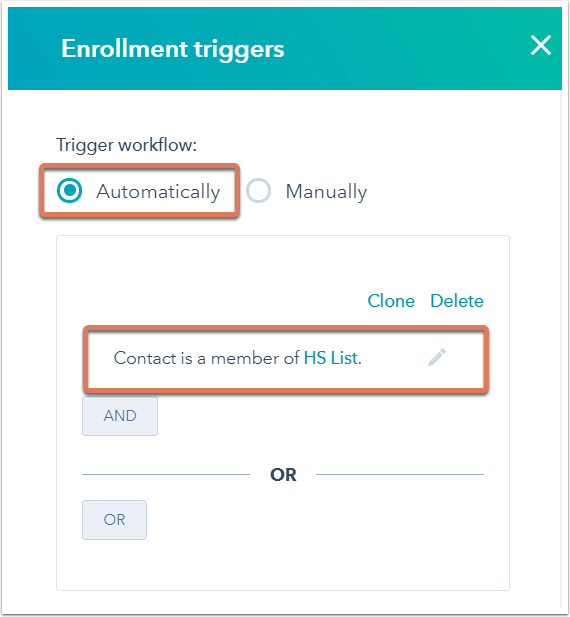 If you want to enroll contacts into this workflow that are already in your smart list, check the box next to Enroll contacts who meet these criteria. 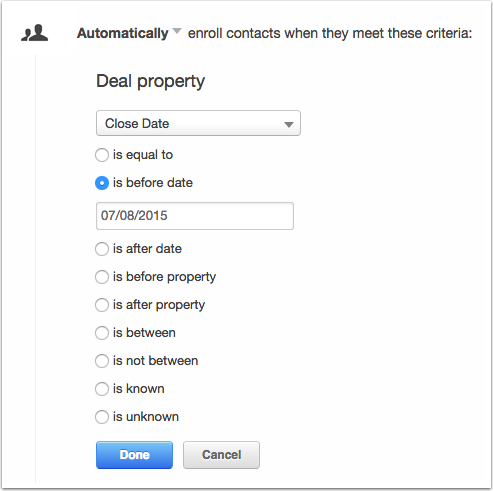 You can do this for any starting criteria. 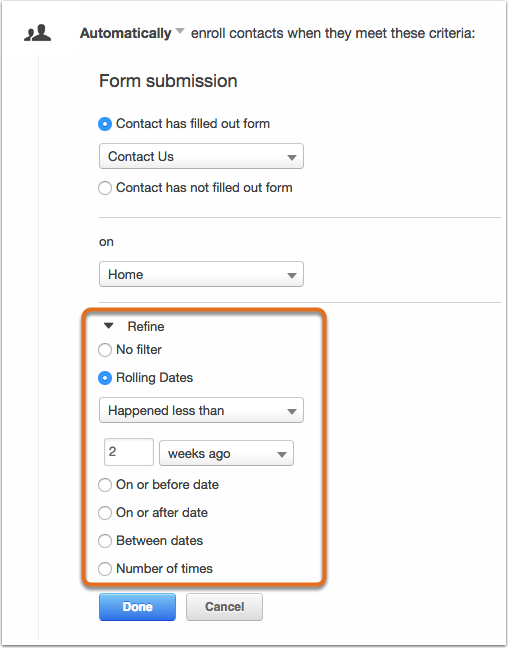 The form submission starting condition enrolls contacts in a workflow when they fill out a specified form. 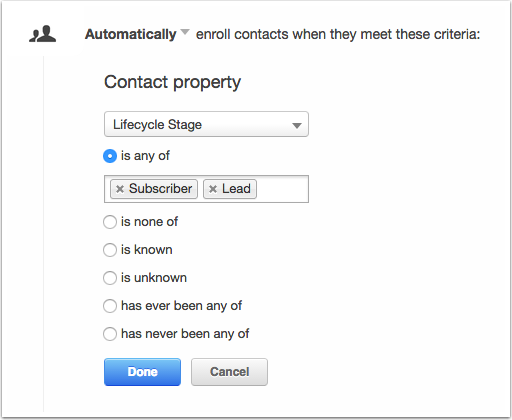 This starting condition allows you to choose from all of your HubSpot forms. 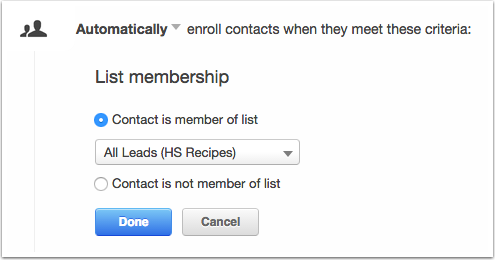 You can choose to enroll contacts when they submit a specific HubSpot form, no matter where that form appears across your website (on any page), or you can only enroll contacts who fill out a specific form on a specific HubSpot page. 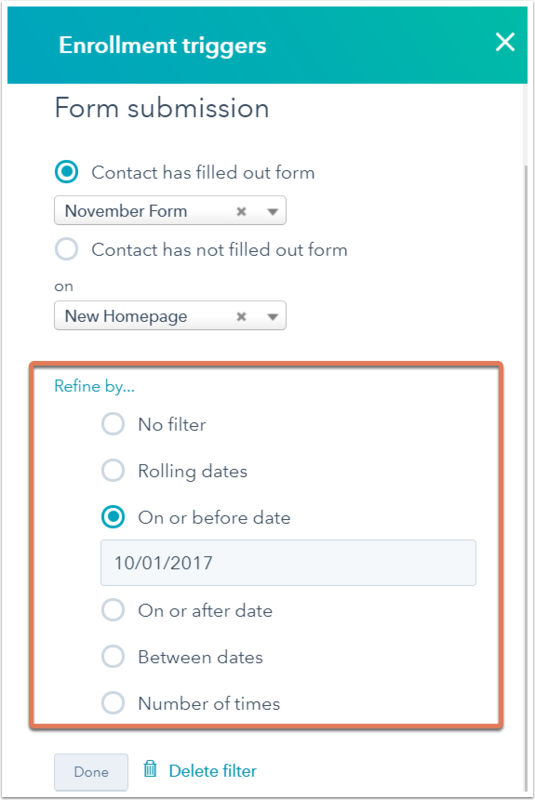 In the example below you can see I've chosen to enroll any contact that has filled out the Contact Us form specifically on my Home page. 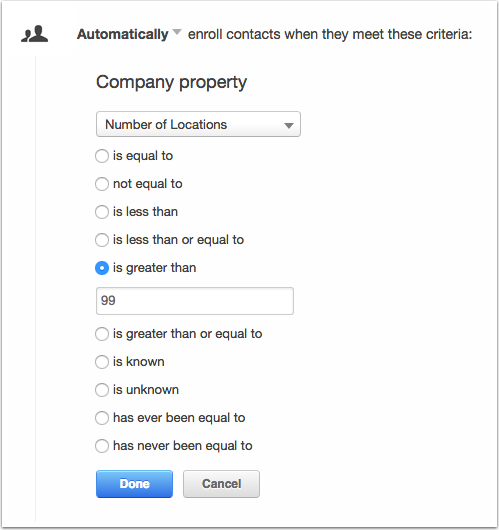 You can even narrow this criteria down further by choosing Refine. 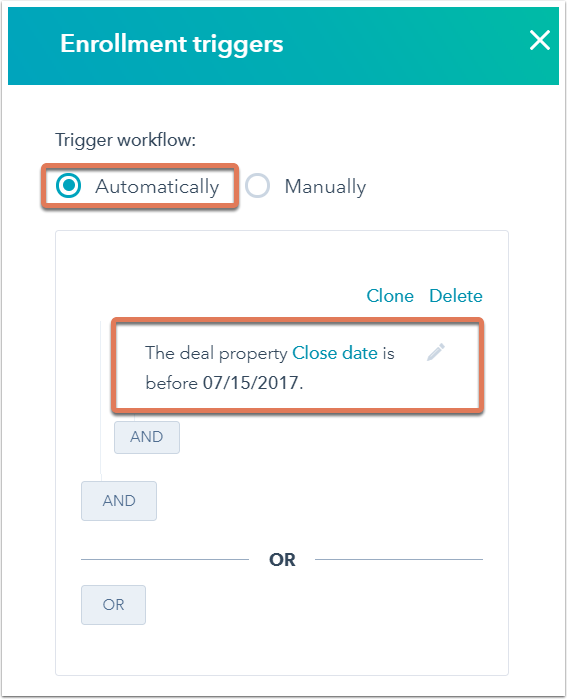 Within this section, you'll see options related to date/time. 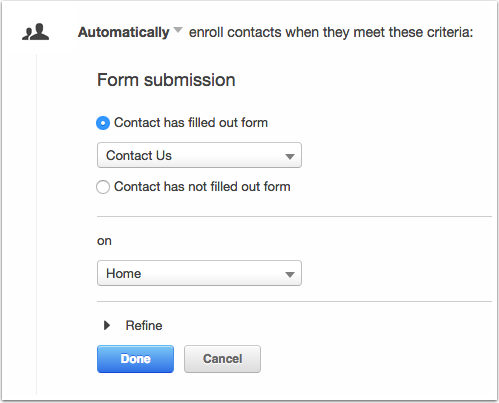 So I've decided I want to refine my form submission criteria to enroll any contacts who submitted on the Contact Us form on my Home page less than two weeks ago. 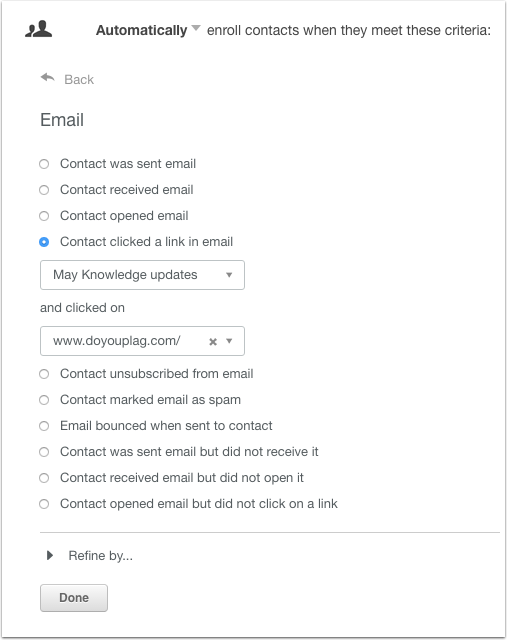 You can build out your workflow around a specific email activity. 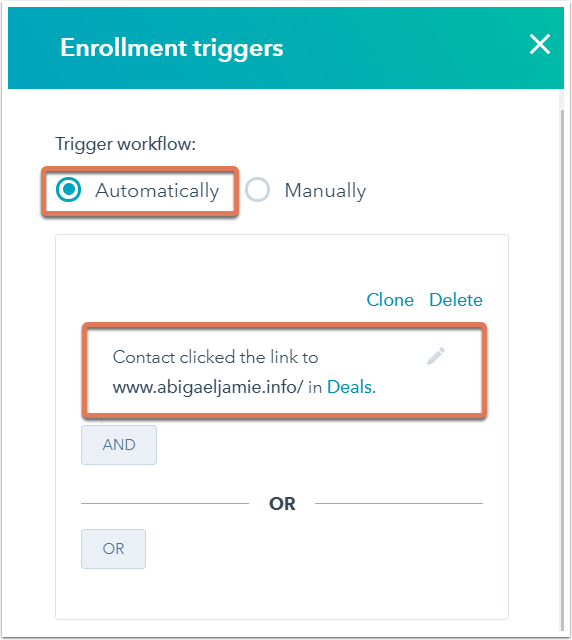 In the example below, this workflow will enroll any contacts who open the May Knowledge updates email and click on the link selected. 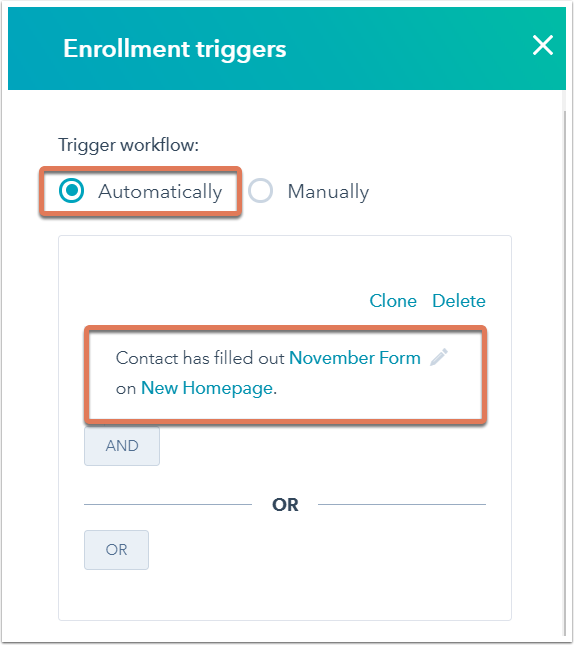 You can build out your workflow around a specific page view - this will be able to enroll contacts who viewed a specific page URL. 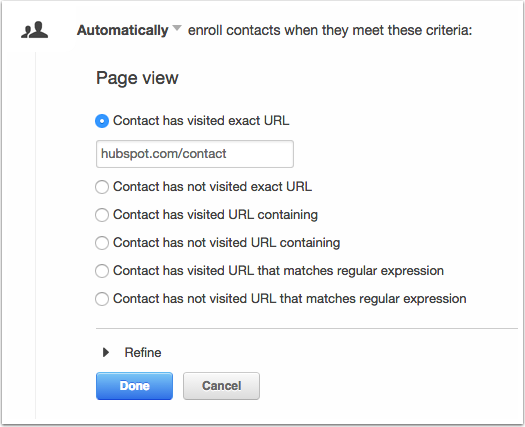 In the example below, this workflow will enroll any contacts who visit hubspot.com/contact. 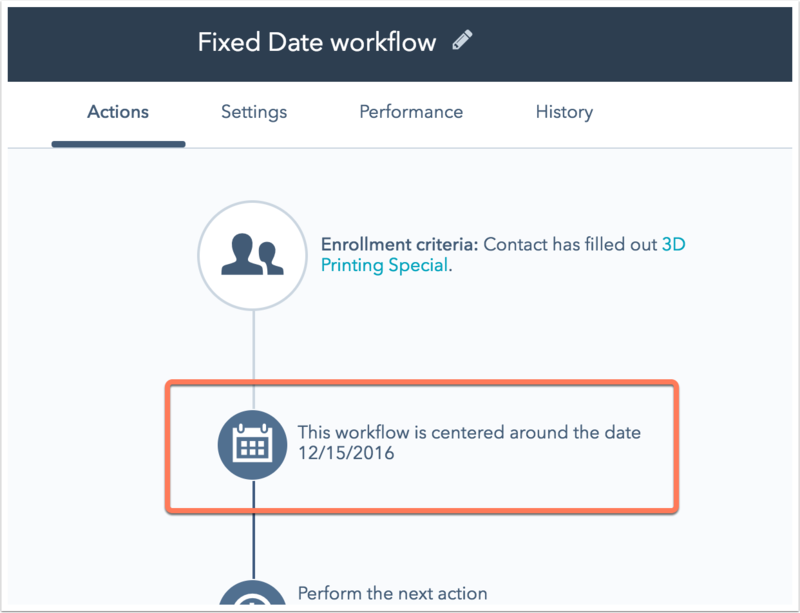 You can build out your workflow around a specific event. 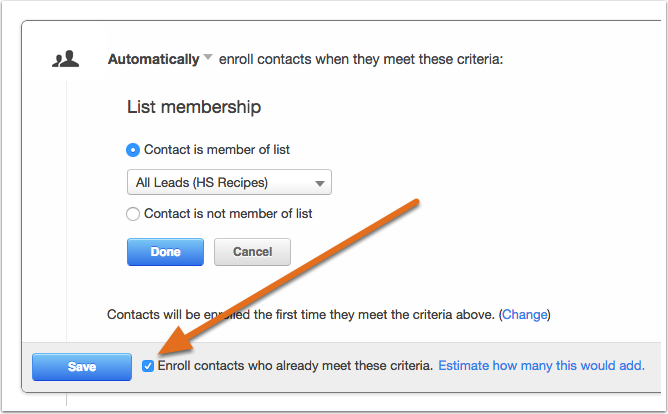 You can set the criteria to enroll contacts who completed or did not complete a custom event you have set up. 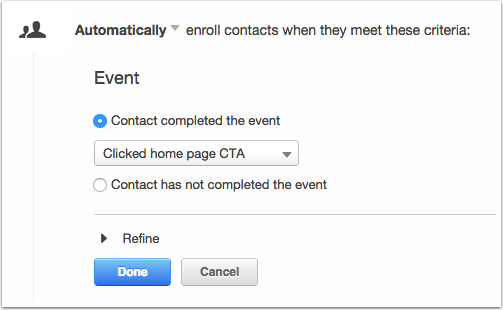 In the example below, this workflow will enroll any contacts who completed the event called Clicked home page CTA. 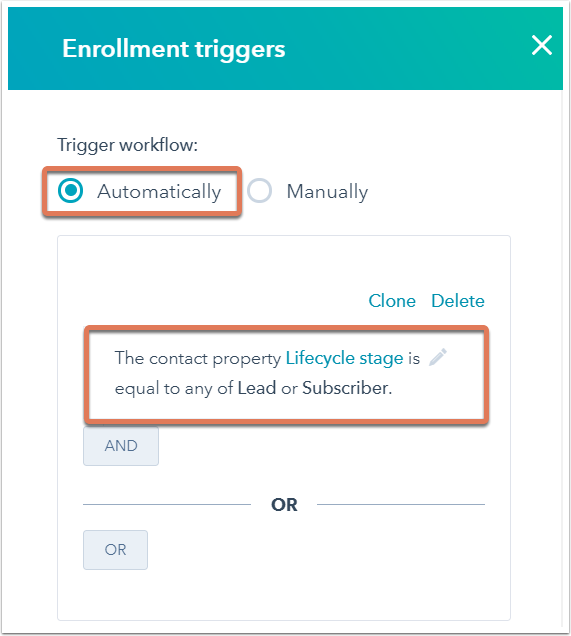 You can build out your workflow around a contact's workflow status - this will be able to enroll contacts who are active in your workflow, completed your workflow, met a workflow goal, and more. 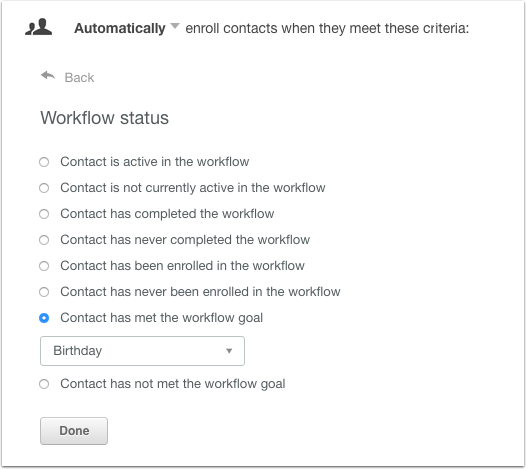 In the example below, this workflow will enroll any contacts who met the goal of the "Birthday" workflow. 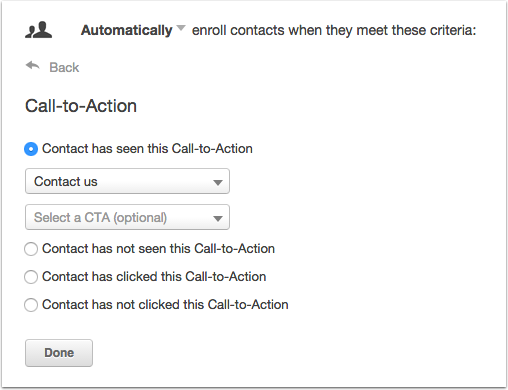 Choose Call-to-Action to enroll a contact into your workflow if they have seen, not seen, clicked, or not clicked on a particular Call-to-Action of yours.